Do you know that Google, Microsoft, Apple, and other companies CAN and DO record everything you do? Accessing any website can provide them with a lot of identifying details: your IP address, internet service provider, location information, and more. They can take any information you enter (whether you submit it, save it, or not) and can store it in their databases indefinitely. Naturally, not everybody likes this. Tor, the “deep web” browser, was developed by and for people who are care about their privacy. 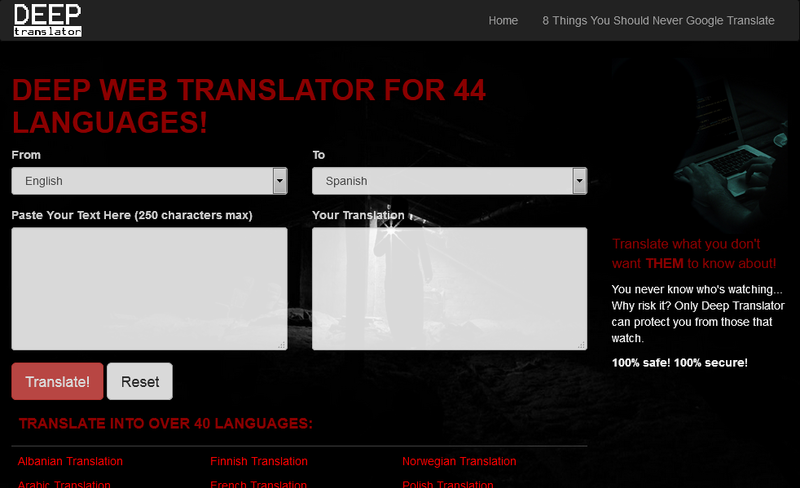 For an extra layer of security, sites like Deep Translator may be used for simple machine translation services without any risks. 1. Download and install the Tor Browser from its official website. 2. Open the Tor Browser by clicking the Start Tor Browser shortcut on your Desktop. Remember: you have options. Your personal security is in your hands!